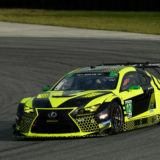 Monday, February 27, 2017 – Highlands, NJ – Alex Job Racing driver Frankie Montecalvo completed a successful two-day test with teammates Bill Sweedler and Townsend Bell at Sebring late last week. 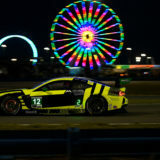 After finishing P6 in class on the high banks of Daytona at the Rolex 24 in January, the Alex Job Racing team is switching gears to get their #23 Audi R8 LMS ready for the flat, but bumpy 3.74-mile circuit that is Sebring International Raceway. 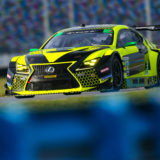 “We just finished a successful two-day test at Sebring. The car was great, and once again, Alex Job Racing and Audi did an incredible job to have the car ready set up and ready for the test. We rolled off the truck pretty quick on Thursday and ended the day P3 in class which was really good,” explained Montecalvo. Montecalvo’s last trip to Sebring was in 2014 with PR1/Mathiasen Motorsports in the PC Class. In 2011, he finished second in the PC Class with CORE Autosport with co-drivers Jon Bennett and Ryan Dalziel. 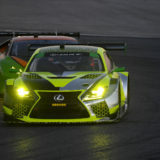 Montecalvo has also navigated the track in prototype lites cars and has enjoyed success while participating in Vintage Racing Endurance events at Sebring. 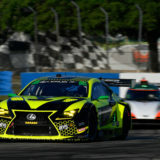 The 12 Hours of Sebring Presented by Fresh from Florida kicks off March 15-18. Stay tuned to for pre race news and updates and to find out when and on what channels you can watch Frankie race LIVE! Be sure to follow Frankie on Facebook, Twitter and Instagram for all of his racing news!